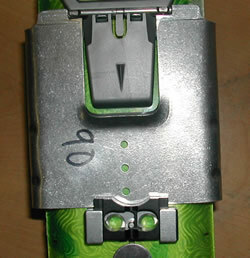 Crampon locks provide a fixed mode for your B & D ski crampons. They are available for use with Dynafit, Telemark, and Fritschi bindings. 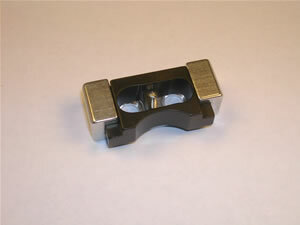 B & D Ski Gear makes crampons locks in 2 widths, standard and wide. Wide locks are recommended for crampons 110 mm and wider, or for individuals that weigh more than 200 lbs ( 91 kg). The wide locks are also used with Dynafit FT bindings that have a rib running from the toe piece to heel piece. These locks are need because a bridge is needed to lift the lock over the rib. Ensure you order a lock bridge if using locks with a FT binding. 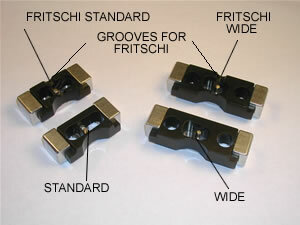 Locks for Dynafit applications do not need groove, as with Fritschi bindings, but will work with or without a groove. Wide crampon locks are suggested for use on crampons 110mm and wider and for Dynafit FT bindings which also need a Bridge added to raise the lock over the rib. B & D Ski Gear locks are only approved for use on our crampons. They should not be used with the official Dynafit brand ski crampons. Their crampons have a taper on the back of the crampon which may cause our locks to fail. 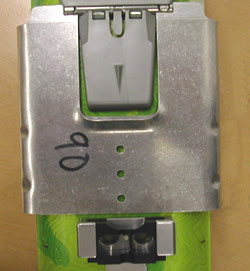 Fritschi with standard crampon lock. 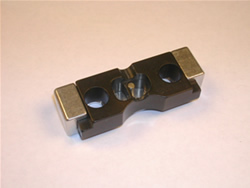 Standard Lock for Fritschi binding applications. Note groove added to clear Fritschi beam. Crampon locks with the "Fritschi Groove" will still work with other crampons. 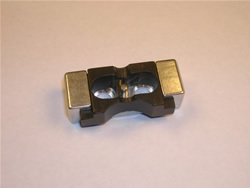 Fritschi compatible crampon locks weigh the same as their standard counter parts. For use on Dynafit FT in conjunction with a wide crampon lock.